Even committed Zionists are beginning to understand that Israel is consistently violating fundamental human rights in Palestine. This article, by a lawyer, focusses on how Palestinian children fare. Spotted via JFJFP. They deserve it. Shall not throw stones! Can everyone please stop trying to point out the good guy and the bad guy in this conflict? regards, mankind. 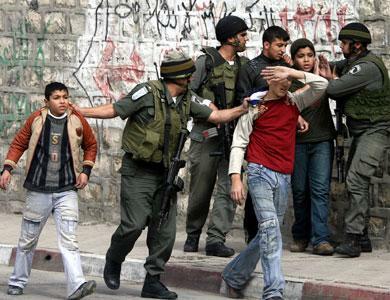 What are the consequences if a child throw stones?